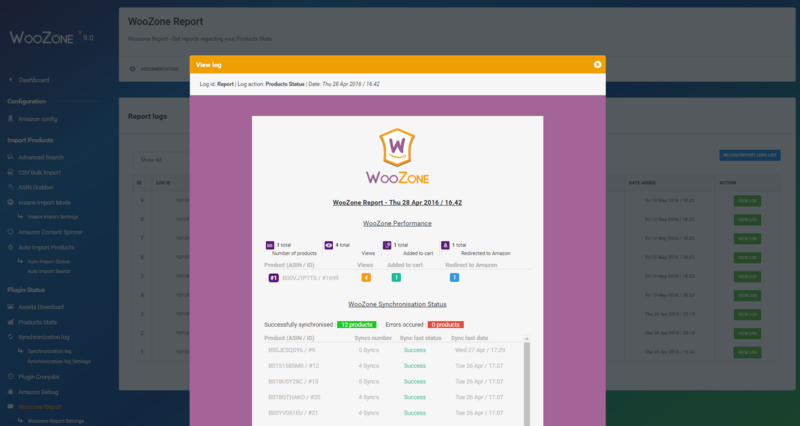 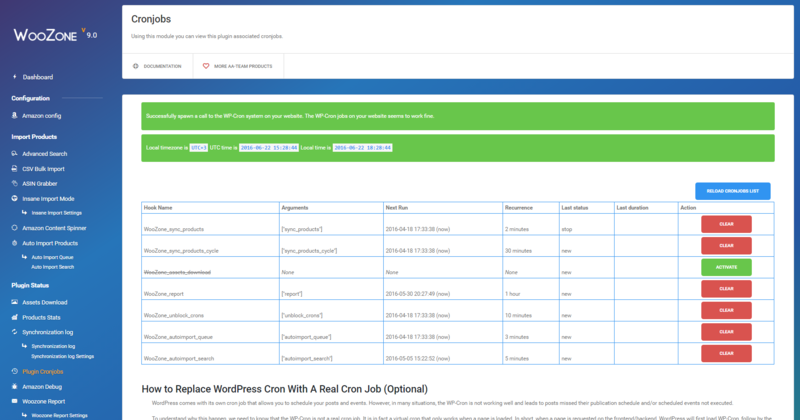 We created a new module called WooZone Report. 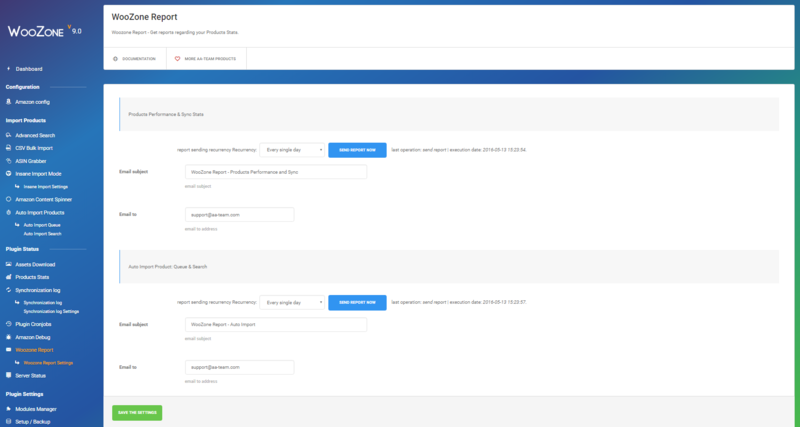 What is the purpose of this new module? 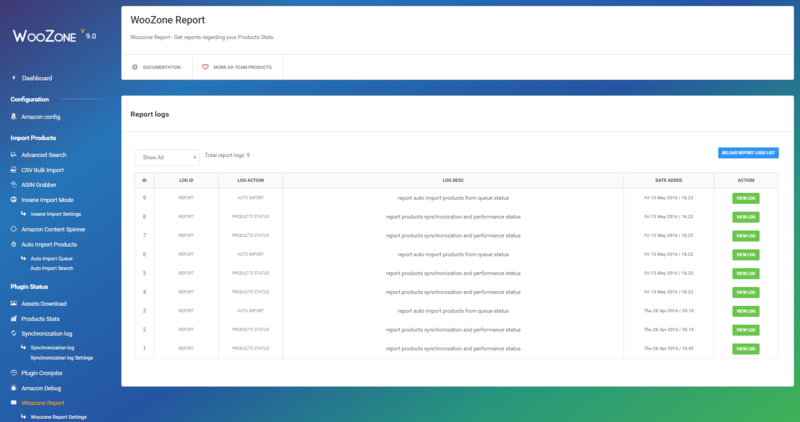 Well, as the name says for itself, it’s a reporting module, specially made for keeping track of the products imported from amazon (how many views they had, added to card, redirected to amazon) and to keep track of the synchronisation log – what and how many products were synched.